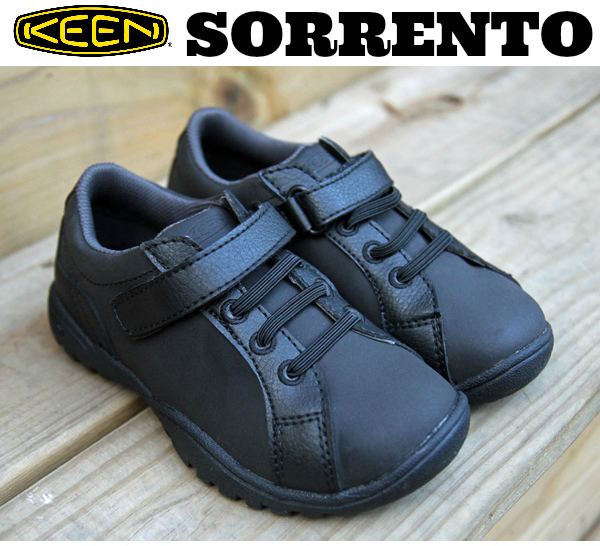 KEEN Sorrento Review // Casual Style for Boys - It's Gravy, Baby! We received the KEEN Sorrento shoes featured in this post for our review. All thoughts and opinions remain my own, as always. It’s crazy how quickly both Bryson and Bella can wear out a pair of shoes. They each get a couple new pairs at the beginning of each season and a few months later, those same shoes are worn and ready for the trash. Bryson wore a pair of KEEN shoes last winter and they held up so well that I wanted him to have another pair for this year. Bryson is old enough now that he wants a say in what he wears. He doesn’t like sleeveless shirts or cutesy prints and he prefers a pair of khaki cargo shorts over anything. For that reason, I asked him to help pick out a pair of shoes for the upcoming falls and winter seasons. He chose the KEEN Boys Sorrento Shoe in black. The Sorrento is also available in brown. I love the KEEN Sorrento shoe because it’s casual, versatile, and stylish. It can be dressed up or down, worn as a sneaker or as a nice Sunday shoe. We haven’t worked on teaching Bryson to tie his shoes yet, so I also like that it features laces with a Velcro closure at the top. This helps him be more independent as he can take them on and off himself. Not only are KEEN shoes stylish, they are well made and durable. After how well his pair of KEEN shoes held up last year, I know that he’ll get plenty of wear out of his new pair. Bella is even harder on shoes than he is so we’ll be purchasing a pair of KEEN shoes for her too. You can purchase the KEEN Sorrento shoes at Amazon.com. You’ll find all kinds of styles available for men, women, and kids in the KEEN store at Amazon. Classy shoes! I love the fact that they look nice, but have a sneaker shoe bottom. The velcro closure will come in handy and those elastic laces help make it fit snug. Also, sounds very durable. Kids that age are very rough on shoes! …headed over to the link right now. thanks!! i like how they can be dressed up or worn casually! These are such cute but sturdy shoes! My dad has been wearing Keen for years and loves them! At that age my son went through his clothes and shoes so fast I could barely keep up. He had a wide”ish” foot when growing up and it was always such a chore to find a sneaker that fit. These look like they have a great deal of room for a child’s foot. Will keep these in mind for my nephews! Thanks for the review. Those are some nice shoes. I like the versatility of being able to dress them up or down and that the yare quality shoes that last. My guys go through shoes like crazy also. Will be definitely giving KEEN Sorrento shoe a try.